Integrated Circuits (IC's), transistors and computer chips come mounted in packages, which are encapsulated (hermetically sealed) to protect the internal chip's circuitry from physical damage and from moisture, dust and other types of contamination. 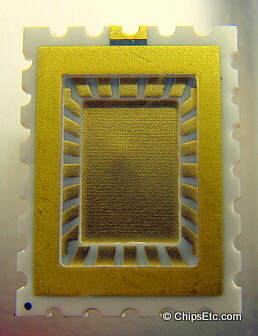 The IC package also helps with redistributing the Input & output of the chips circuitry to a more manageable component size for use by it's end customers, as well as providing a structure more adaptable to standardization, providing a thermal heat path away from the chip, providing protection from the possibility of errors due to alpha particles and other forms of radiation, and providing a structure that more easily allows electrical testing and burn-in by the chip's manufacturer. 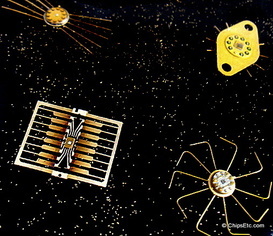 The IC package can also serve to interconnect multiple IC's both directly to each other using standard interconnection technologies such as wire bonding, and indirectly using interconnection pathways provided on the package such as those used in hybrid IC packages and multi-chip modules (MCMs). 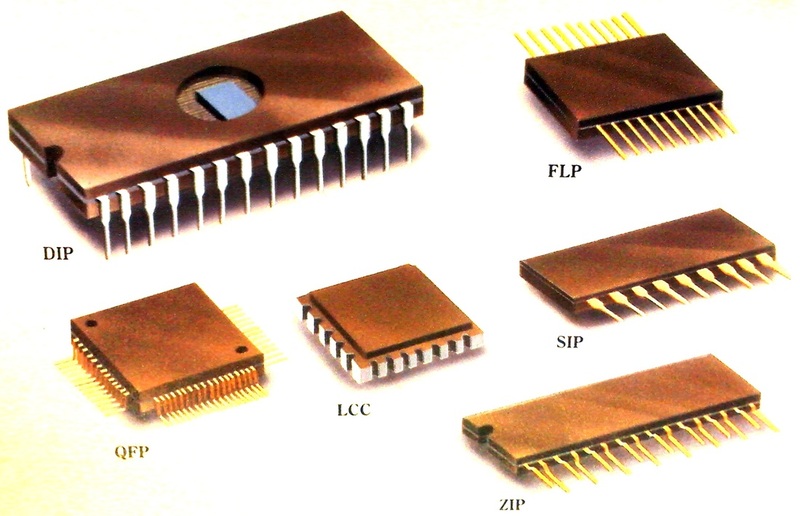 There are many different types of IC packages with each having it's own advantages and disadvantages. The most popular IC package is the Dual In-Line package (DIP). 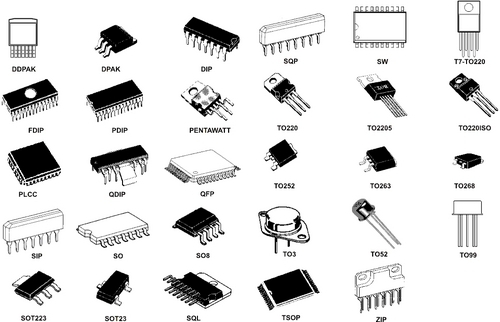 The packages also make it easier to install the IC's in various types of equipment, since each package contains leads which can be either plugged into matching sockets or plugged into mounting frames. 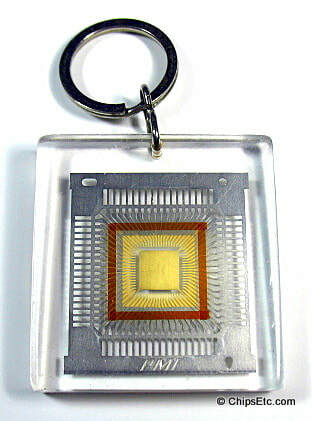 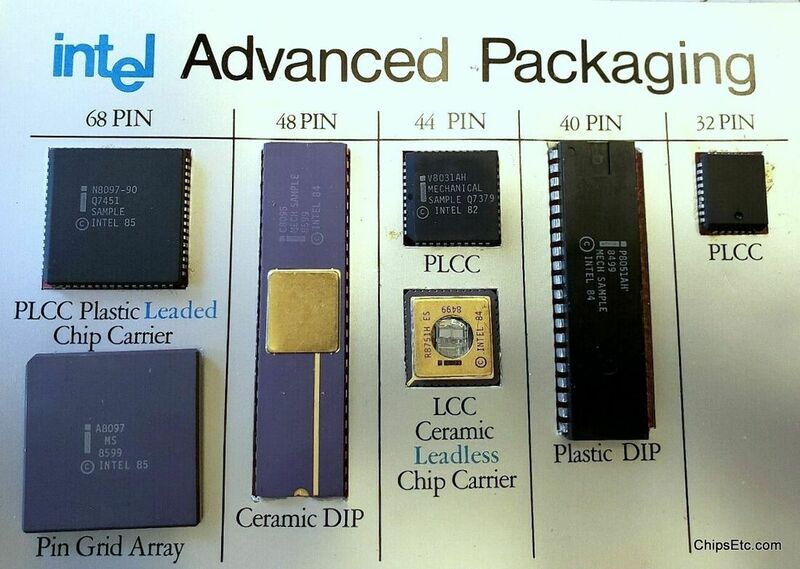 IC packages have been manufactured using many different types of materials. 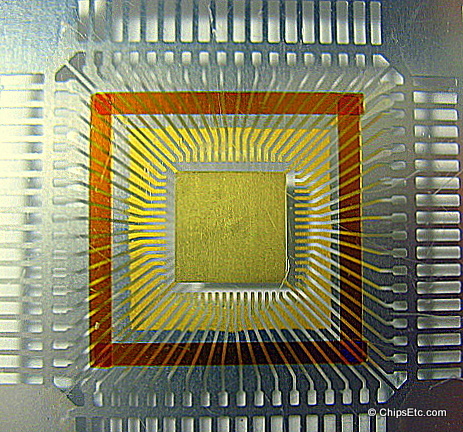 The most common materials used today are organic material for CPU's (glass fiber reinforced with Bismaleimide Triazine (BT) resin), and plastic for smaller IC's. 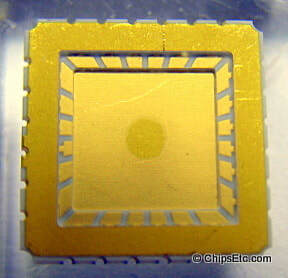 In the past it was common for IC packages to be manufactured using ceramic materials. 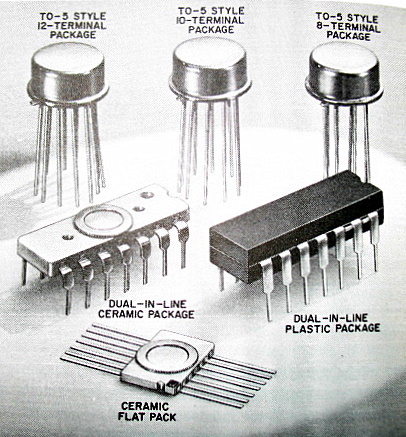 Older discrete transistors were typically packaged within metal protective cans, but today many of them come in encapsulated plastic packages.